Prepares students to read the Roman Missal and Breviary. 195 pp. 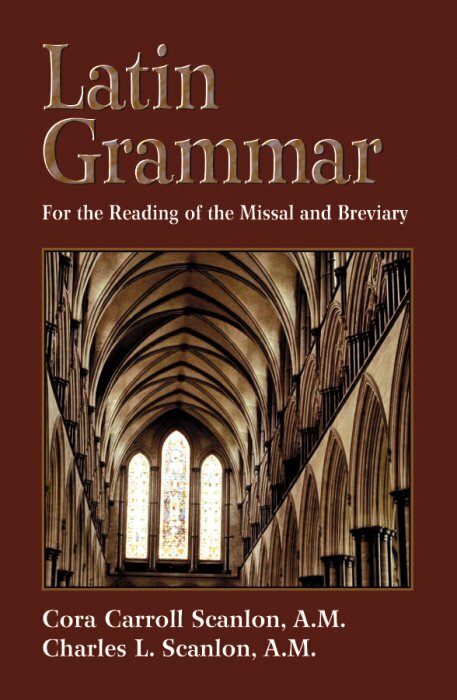 of grammar and a 130-page Latin-English glossary, containing all the words in the Roman Missal and the Roman Breviary. Lessons and readings from these two books, plus from the Latin Vulgate Bible. Fantastic tool for the study of Church Latin. (This product can also be purchased as part of the following set: Latin Set. Second Latin. Presumes a knowledge of Latin Grammar. Prepares students to read texts in philosophy, theology, and canon law. 232 pp. of vocabulary and reading: 3,000-word Lat.-Eng. glossary. Excellent!